Six days after majority owner Tom Dundon threatened to shutter the Alliance of American Football, the league will reportedly suspend all football operations. There were two weeks left in the regular season schedule as well as a four-team postseason, and it now appears that neither will ever happen. The reports come courtesy of Mike Florio and Darren Rovell, with Florio first reporting this morning that the league is “moving in [the] direction” of folding. It will reportedly cost another $20 million to keep the league afloat for the duration of the season, and Dundon, the league’s chief financier, seems to be unwilling to pony up even more cash. The AAF had an apparently productive call with the NFLPA yesterday about a potential relationship, which potentially seemed like a sign that Dundon’s threat to close the league had achieved its purpose. However, today’s news reportedly caught several NFL executives off guard, which could hint that Dundon didn’t necessarily want to keep the AAF going at all. 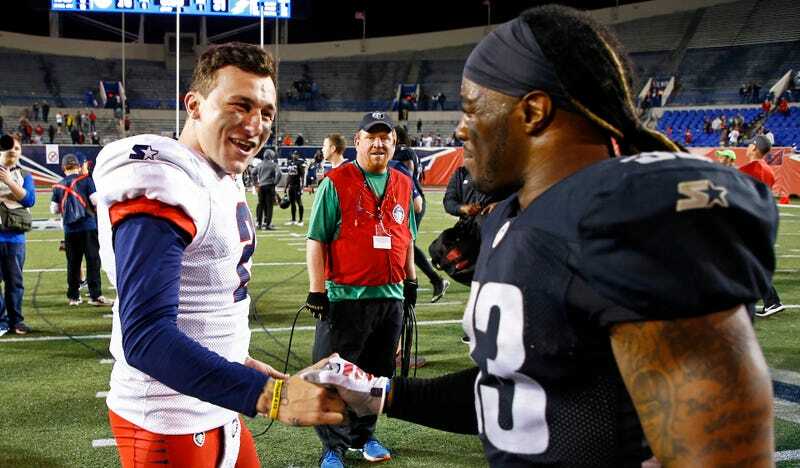 AAF players seem to have collected their final paycheck already (Johnny Manziel’s got some advice about that), and hopefully some of them can eventually earn another NFL or CFL contract. I wouldn’t count on that XFL reboot sticking around for decades.